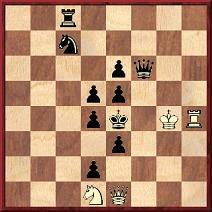 Few chessplayers today, even in the United States, recall the name of D.A. 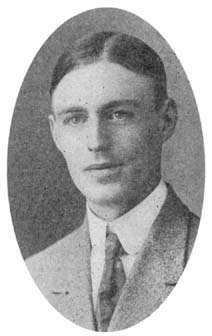 Mitchell, yet for a period he was one of the country’s most prominent writers on the game. In addition to his own books, in 1917 he was charged with bringing out a ‘corrected’ version of Emanuel Lasker’s Common Sense in Chess, a fact which testifies to his standing at the time. Yet his writing career was short. In early June 1926, while still only in his early 40s, he vanished, never to be seen again. Newspapers reported/speculated that he had been the victim of mental disturbances and had killed himself. 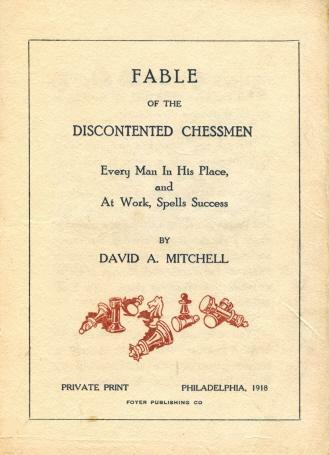 However, his principal fame as an author resulted from the two standard beginners’ works Mitchell’s Guide to the Game of Chess (1915) and Chess (1917). 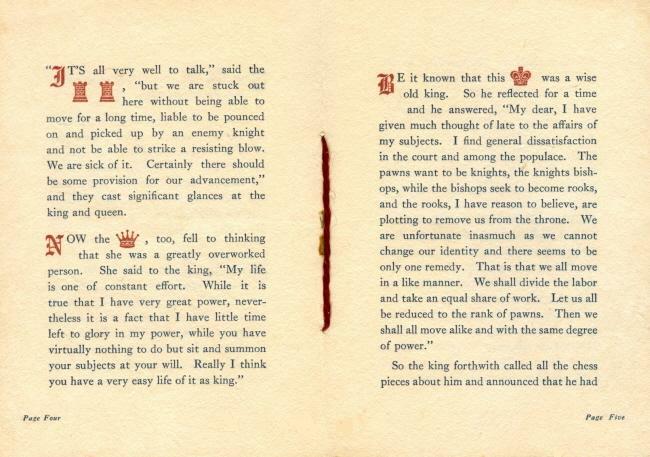 Both went through a number of editions, and the Guide, which was published by David McKay, Philadelphia, was still appearing in the 1940s. Solution: 1 Nf2+ Qxf2 2 Qb1+ d3 3 Qb4+ d4 4 Qb7+ Nd5 5 Qh7+ Qf5+ 6 Kg3+ Nf4 7 Qb7+ Rc6 8 Qxc6 mate. 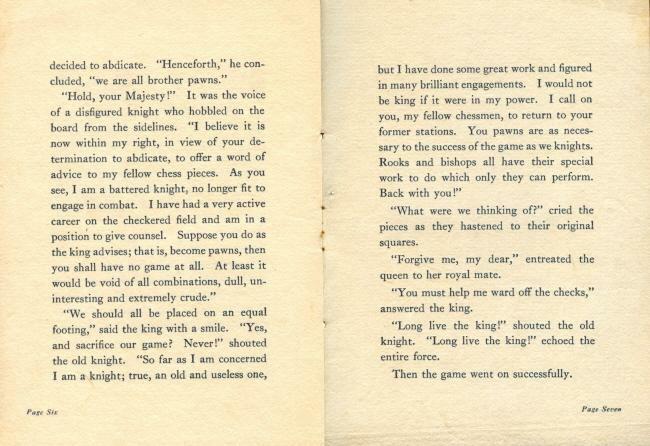 A revised edition of Mitchell’s Guide was issued by David McKay in 1920 and included a collection of Marshall’s best productions which was ‘unique in that the games were selected by the champion himself as being those which appeal especially to him, out of the thousands he has played’. It is of historic interest to note Marshall’s favorites and the corresponding comments thereon. 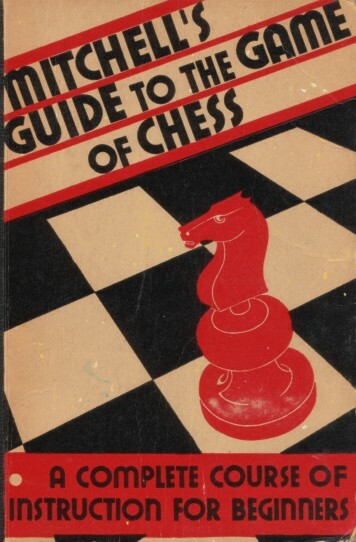 The Lasker revision was also used as the chess part of A Guide to Chess and Checkers by David A. Mitchell and Lawrence Held (The World Publishing Company, Ohio and New York, 1941). The problem section was substantial, with 75 compositions, and the work concluded with an account of four-handed chess and a brief history of the regular game. The book again showed Mitchell’s interest in the career of Marshall, and pages 76-78 gave a game Eddy v Marshall: ‘Frank J. Marshall recently encountered A.J. Eddy, a well-known chessplayer from Chicago, at the rooms of the Manhattan Chess Club, New York City, in a series of games, the object of which was to test the Queen’s Gambit Declined opening.’ Little seems to have been recorded elsewhere about this event. 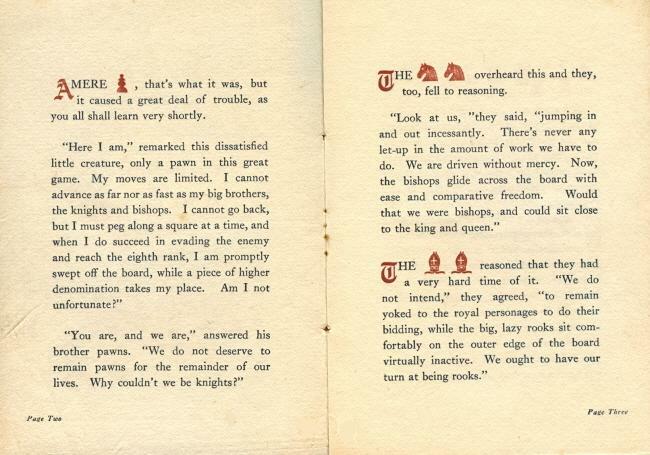 Chess had a companion volume, Checkers, from the same author and the same publisher. 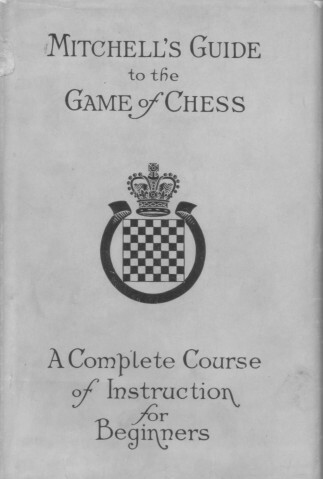 First published in 1918 and dedicated to Walter Penn Shipley, Checkers stated on its title page: ‘An expert explains all the moves of the game, its openings and positions, and gives many problems’. Even during Mitchell’s lifetime, chess magazines had relatively few mentions of him. One exception came after Marshall gave a huge simultaneous exhibition (+97 –9 =23) at the great Auditorium of the Curtis building in Philadelphia on 26-27 December 1916. 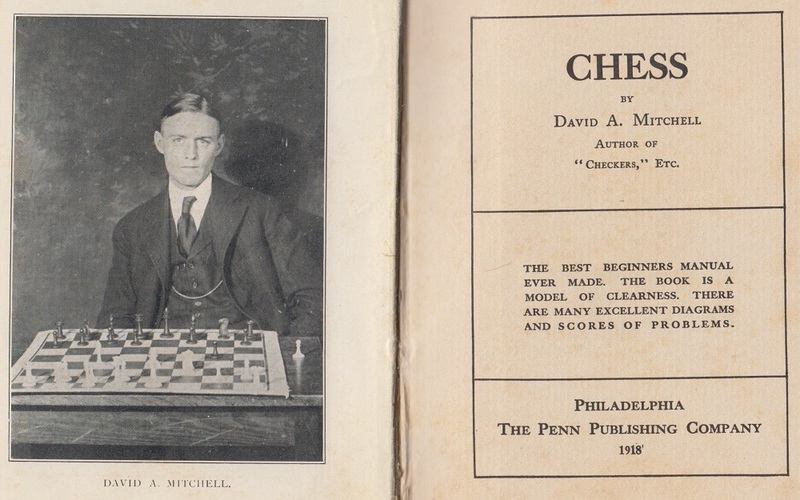 The event was ‘due to the courageous initiative and hard work of David A. Mitchell, chess and checkers editor of the Public Ledger’ (American Chess Bulletin, February 1917, page 25). 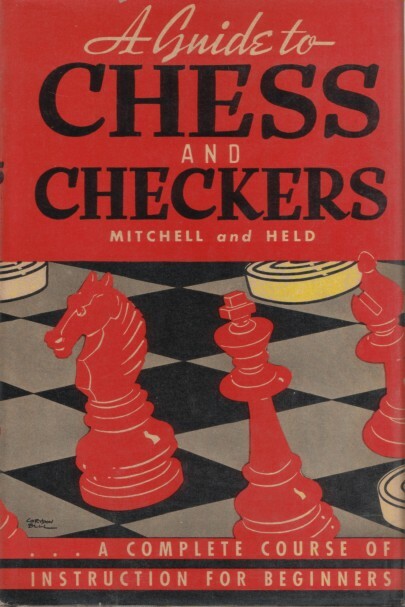 On pages 66-67 of Chess Mitchell recorded that at the display Marshall ‘adopted the Danish Gambit on every table wherever it was possible for him to open with this style of game’. Northport, Me., June 2 – (AP) – David A. Mitchell, formerly of Philadelphia, and author of several books on chess, has been missing from his summer home on Temple Heights here since Sunday night. A searching party was organized by Sheriff Frank D. Littlefield today after a note was found at the house. Mr Mitchell, it was learned, called on a neighbor Sunday night and gave him a check for $25, saying it was all he had and he never would need any more. He returned on 15 March from Bermuda, where he passed the winter. Mr Mitchell was a chess writer for Philadelphia newspapers for eight years. Several years ago ill health forced him to go to Raymond, N.H., where he lived in a bungalow that overlooked a lake. 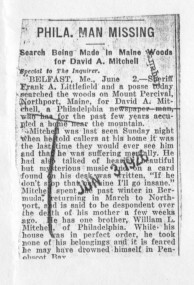 BELFAST, Me., June 2 – Sheriff Frank A. Littlefield and a posse searched the woods on Mount Percival, Northport, Maine, for David A. Mitchell, a Philadelphia newspaper man, who has for the past few years occupied a home near the mountain. Acknowledgment for copies of the above-quoted Philadelphia newspapers: Jeremy Gaige of Philadelphia.